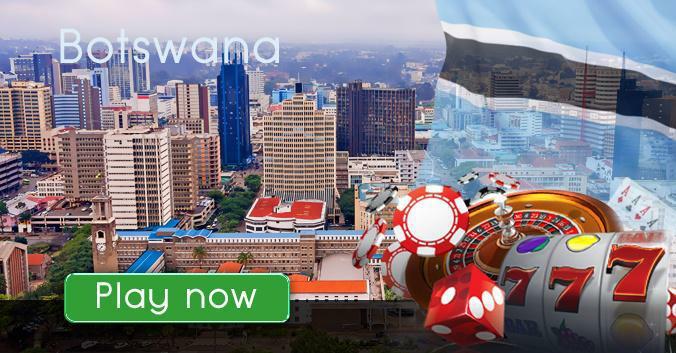 There are more than 10 brick and mortar casinos that are currently operating throughout Botswana but there is not even one Botswana based online casino. Sport betting is a very popular form of gambling with the Batswana people. None of the countries sports betting establishments offers online betting services. The lack of Botswana based online gambling operators is not due to an absence of a market. On the contrary there is a growing demand for online gambling services in Botswana. As more and more of the population continues to get Internet access this demand will only continue to rise. The government acknowledged the growth of the industry and set on motion proceedings to create a new law that is relevant to this generation. A new gambling legislation was enacted on the 1st of April 2016. This new legislation is the Gambling Act of 2012. The Government controlled Gambling authority deemed it necessary to come up with new laws to replace both the Lotteries and Betting Act and the Casino Act. These acts where written in the Seventies and were no longer adequate to regulate the forms of gambling that are currently available. The old regulations only applied to casinos and other individual aspects of the gambling sector. In developing this new legislation the Botswana government sort to bring the entire gambling industry into compliance with national and international economic and financial guidelines. The Gambling Act of 2012 established a new Gambling Authority that is headed by Thuli Johnson. The Gambling Authority is responsible for enforcing the tightened control measures that are described in the new Act. The new measures are already being implemented in the nation's brick and mortar casinos. The chief of the Gambling Authority said, "All kinds of betting will now be licensed. We will take over regulation of the existing casinos in April and anyone wishing to be involved in any kind of betting, including SMS and online, will need to be registered and licensed with the Gambling Authority first." According to his statement even online gambling has to be licensed. There is however no mention of any restrictions that prohibit the general public from accessing online gambling services. A list of application fees for licences was published. Registration fees for casinos is BWP250,000 (R330,000), Betting houses and Bingos need to pay BWP50,000 and BWP10,000 respectively. Lotteries need to pay R1,3 million to be registered. All this is fair and good but it will be interesting to see how the government will regulate foreign based online gambling operations which fall outside their jurisdiction. It is almost impossible for the government to regulate off shore online casinos. The Batswana people will continue to enjoy online gambling services offered by foreign based online casinos without a hindrance. The new legislation is set to impose stricter regulations that will ultimately improve the socio-economic participation of casinos. Johnson clearly stated that the new regulations are "...meant to curb illegal gambling and protect the licensed operators who do not only pay taxes but also have jobs to protect..." The Gambling Act also establishes a fund for pathological gambling prevention programs and a rehabilitation committee. The Batswana love their casino games. They play everything from blackjack to video poker. This is one of the few African countries that have frequent poker tournaments. It a clear sign that the people of this country enjoy their casino games. The people are quick to try new games that may give them a handsome reward. Casinos in the country are distributed throughout the country with less than 30% of the casinos being in the capital city. The largest casino is in the capital city and has an impressive portfolio of games on offer. Table games on offer in these brick and mortar casinos are several versions of blackjack, roulette and poker. Other table games that are popular are Baccarat and Craps. There are several mechanical gambling contrivances on the casino floors. These include classic slots, video slots and video poker machines. The new legislation paved way for the creation of a national lottery. Private Lotteries are only allowed to operate on a non profit basis. Bingo and sports betting are the most popular forms of gambling in Botswana. There is a drive to promote interest in horse racing but people mostly bet on soccer and international sporting events. Gambling online is on the rise in Botswana, this is not disputable. There are just a few factors that have led to the rise in the demand for online gambling services. Chief among these reasons is the love for gambling that the Batswana people have. The convenience that is offered by online casinos and betting operations is one the main attraction for gamblers in Botswana. Online casino games are easier to access than games offered in brick and mortar casinos that require people to travel to the site. It is possible to gamble online from anywhere as long as there is internet service. The increased Internet coverage that is provided by the countries three major network providers makes it easy to gamble on mobile devices. Gambling on-the-go at mobile casinos appeals greatly to many people who are too committed to travel. Online casinos have lower wagering requirements per game than land based casinos. There are progressive jackpots at online casinos that offer multimillion dollar jackpots. These are a major attraction at online casinos. There are at least five progressive jackpots with prizes that can instantly change a person's life. Besides the entertainment offered, the major reason for playing casino games is to win. There are plenty of opportunities to win big here at Yebo casino. Games are always available; there is never a time that players will ever need wait for a table to open up or a slot to be free. The same account that players use to play on their computer is the same account they can use to play on their mobile devices. Depositing and withdrawing funds is simple and there are several methods that players can use. Funds can be deposited or withdrawn using EFTs, debit or credit cards and the online wallet Skrill. Transactions are in Rands which are acceptable in most African countries. The cherry on the icing is the fabulous R12,000 bonus that is awarded to players on their first, second and third deposits. There are several other bonuses on offer here at Yebo casinos that are designed to make gameplay more fun.